New American Funding is a family-owned, independent mortgage lender based in Orange County, California, with locations across the country. If you are buying a home for the first time, don’t know where to begin, and feel underserved at other banks or lending institutions, New American Funding may be a good fit. Founded by Rick and Patty Arvielo, the mortgage company has established over 145 branches nationwide, employs 2,700 people, has funded over $900 million in loans monthly, and issued over $23 billion in loans overall. So now you know a little bit about the company but do you know if a New American Funding mortgage is right for you? 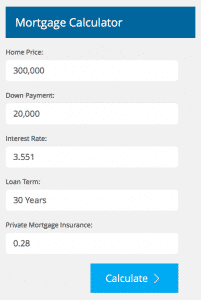 What rates and mortgage products does it offer? And what are the pros and cons of choosing a mortgage from New American Funding? 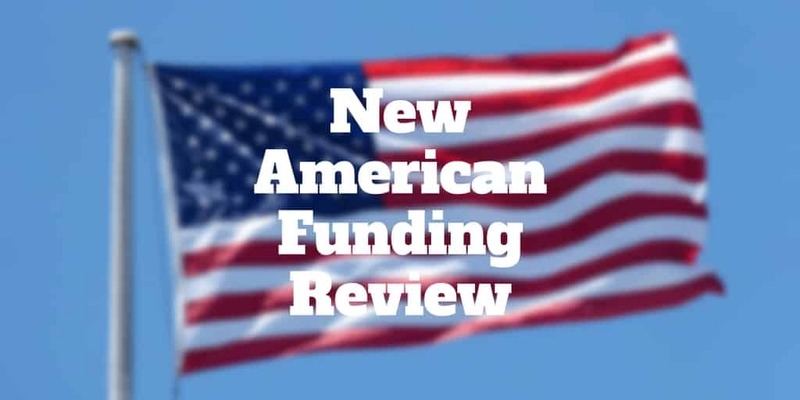 How Much Are New American Funding Rates? New American Funding issues mortgages to traditionally underserved borrowers. While most lenders plug your financials into a computer algorithm that largely automates the adjudication process, New American goes a step further by manually evaluating your creditworthiness. The company has a clear focus on minorities, low-income borrowers, and even those with low credit scores. Patty Arvielo, President and co-founder, observed that different cultures have different nuances when it comes to finances, so it helps to match borrowers with like-minded professionals who understand cultural nuances. To help borrowers feel more comfortable taking the step of buying a home, New American Funding launched the Latino Focus initiative, which targets the latino community, and the New American Dream initiative, which supports the African American community. Beyond catering to borrowers with like-minded employees, the Latino Focus initiative extends to the community where New American Funding hosts grass roots events and community leaders are invited to help address specific local issues. The New American Dream initiative includes educational seminars so that borrowers who have credit issues are supported in learning how to improve scores with a view to buying a home. It also helps borrowers to connect to programs that can help them if they lack sufficient resources to finance a downpayment. The idea is to identify the barriers to home ownership and address them through education and counseling. New American Funding has a clear focus on educating its customers to the benefits of home ownership while promoting financially sound choices. New American Funding provides an affordability calculator, a mortgage calculator, and a refinance calculator to help you figure out the rates you would pay. The Affordability Calculator helps you to calculate how much house you can afford. By taking into account your annual income, monthly debt, and mortgage details, you can better select a home that fits into your budget requirements. 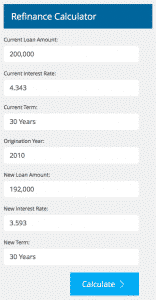 The Mortgage Calculator helps you to estimate your monthly mortgage payments ahead of time. It includes the home price, down payment amount, mortgage interest rate, loan term, and private mortgage insurance to estimate monthly payments. If you already own a home and are looking to calculate the costs of refinancing your home, the New American Funding Refinance Calculator fits the bill. 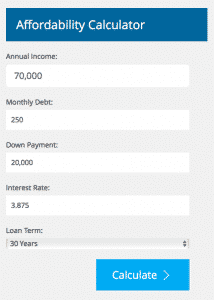 Simply enter your current loan amount, current interest rate, current term, origination year, new loan amount, new interest rate, and new term, and the Refinance Calculator will crunch the numbers on your behalf. You must have at least 90 days of service during wartime, or 181 days of continuous service during peacetime, or 6+ years in the National Guard, or be a surviving spouse of service member who died in the line of duty. New American Funding does an excellent job serving low-income borrowers, underserved borrowers, and educating potential borrowers to the pros and cons of homeownership. ✅ Manual Underwriting: The creditworthiness of borrowers is evaluated through a manual underwriting process. ❌ Not Nationwide Coverage: Although New American Funding has a presence in many states, geographic coverage is not nationwide. ✅ Wide Variety of Mortgage Products: New American offers numerous mortgage products including fixed rate mortgages, adjustable rate mortgages, reverse mortgages, refinancing, jumbo, FHA, and VA loans. ❌ Mobile Access: New American Funding does not cater to Android or iOS device users looking for online access via a mobile app. ✅ Online Mortgage Application: The entire mortgage application process and tracking can be done online. ✅ Loans To Underserved Borrowers: The Latino Focus initiative and New American Dream initiative are designed to better educate prospective Latino and African American borrowers. ✅ Poor Credit Borrowers Eligible: Depending on what mortgage product you apply for, a FICO credit score as low as 580 may be enough to receive loan approval. ✅ BBB Rating: New American Funding earns an A+ rating from the Better Business Bureau. New American Funding is designed to match low income, low credit, and underserved borrowers with suitable mortgage products. Through initiatives like Latino Focus and New American Dream, borrowers are educated to the benefits and pitfalls of homeownership. Once borrowers are ready to move forward, New American Funding offers a wide variety of mortgage products including fixed-rate, variable-rate, jumbo, home improvement, reverse mortgage, FHA, VA, and refinancing. As a family-founded company with a focus on diversity and inclusiveness, New American Funding distinguishes itself among lenders and has earned a stellar A+ rating from the Better Business Bureau for its consistency in serving customers well. Plus, as a leading mortgage company, it is a Fannie Mae, Freddie Mac, and Ginnie Mae direct lender, seller, and servicer that operates its own real estate and builder lending divisions, as well as a large loan servicing unit. The bottom line is if you feel underserved at other banking institutions, or simply want a lending experience that involves a more human element, New American Funding may be a great fit.